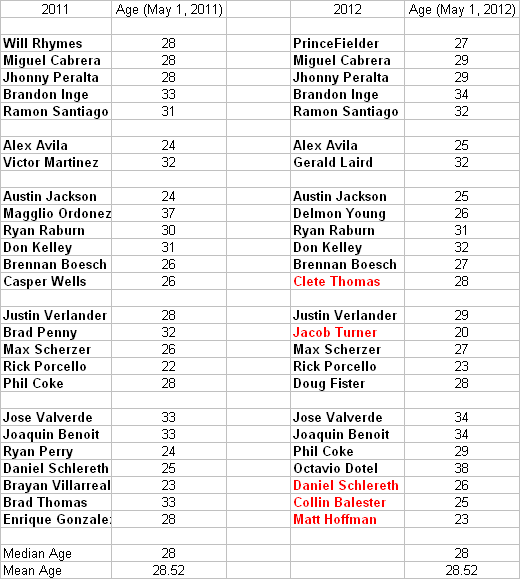 In 2010 I compared the Opening Day roster ages in 2009 and 2010 for the Tigers. The Tigers went from an average age of 28.8 to 28.4. I think I had planned to do this every year and then either forgot or was too busy last year. I’ve compiled the 2011 data after the fact. The average age was 28.5. It appears it will be about the same this year. It might get slightly older in 2012 as I put Hoffman and Turner on the 2012 Opening Day roster. Also, I have Balester, Schlereth and C. Thomas on the roster as the other placeholders. Thomas isn’t doing himself any favors so far this spring. He might be replaced by a younger player. Balester would probably be replaced with a player of comparable age. The first time I did this I used May 1 as the date to determine player ages. I kept that to be consistent. 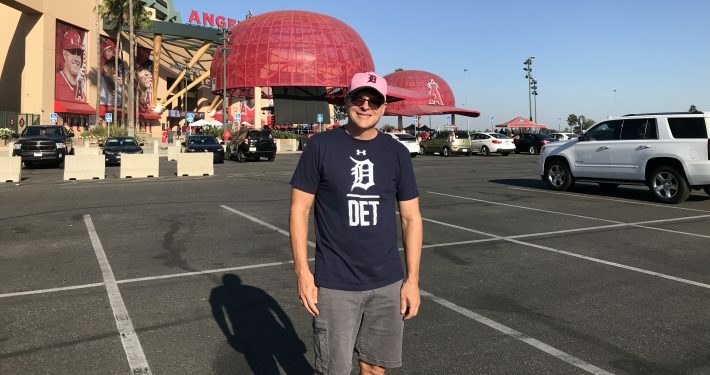 A lot of current Tigers have May birthdays- including Fielder- so the roster might age a good fraction of a year if I picked a different date or used years and months old on Opening Day.